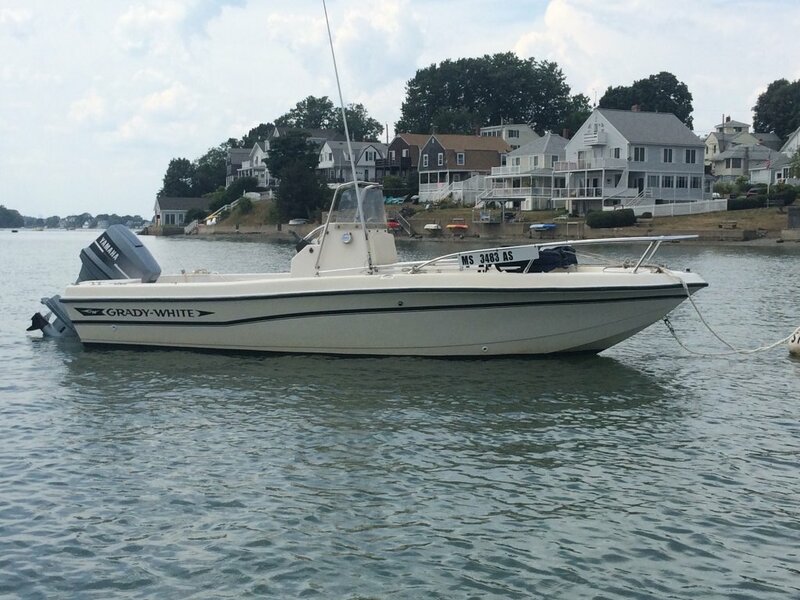 performance and meet harbormaster specifications. We custom-design each mooring system we install to meet or exceed Harbormaster speciications to ensure that your new mooring is adequate for your particular needs. The size of the mooring anchor, shackles and chain are evaluated based on the size and weight of your boat, water depth and location. Need your mooring moved? We can help! With a large underwater lifting capacity, we can raise your mooring and relocate it to your specifications. Inspect pennant and contact your if repairs and/or replacements are necessary. Based on the condition and visible chafe marks we may suggest modifying your tackle or adding chafe gear. Inspect mooring ball, touch up name and permit number, and contact you if you have a damaged ball that needs to be replaced. Install mooring ball and inspect top half of your rig (from the swivel up) and make note of any necessary repairs. All balls go back on at the same time in April without pennants. No other service is done at this time. After you contact us to confirm your launch date, we install the pennant and replace any worn components in the top half of your rig. Record the mooring position with survey-grade accurate GPS; winterize the chain on the mooring trawl. 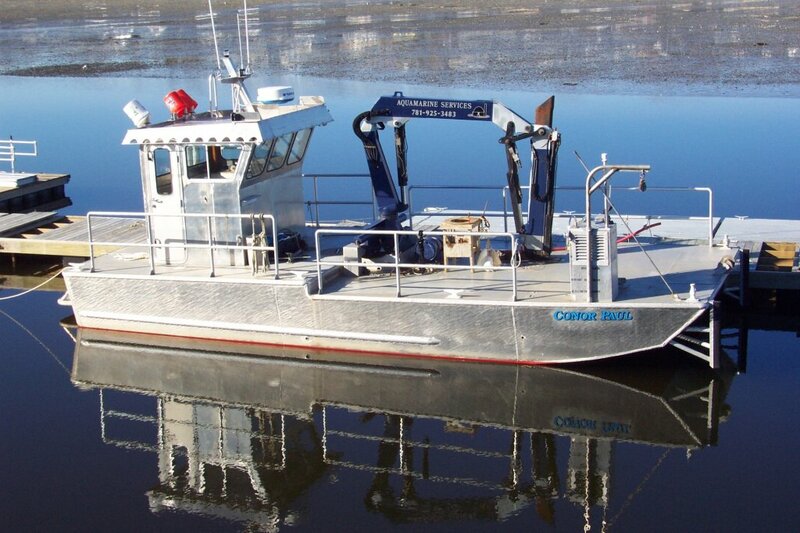 Conor Paul is a 35' aluminum mooring barge. Fully equipped with 2500# knuckleboom and 10,000# deck winch. We carry all mooring rackle with us to service your moring to make it a safe and secure home for your boat.